At home manicures can get messy...well I find that mine do most of the time! I always end up with polish where it shouldn't be especially because I keep my nails short. I've used polish corrector pens in the past to touch up around my nails but I feel that they dry up fast and they are hard to use. So today I'm sharing my solution to the perfect at home mani! Do this after you have finished painting your nails...yes after your top coat! 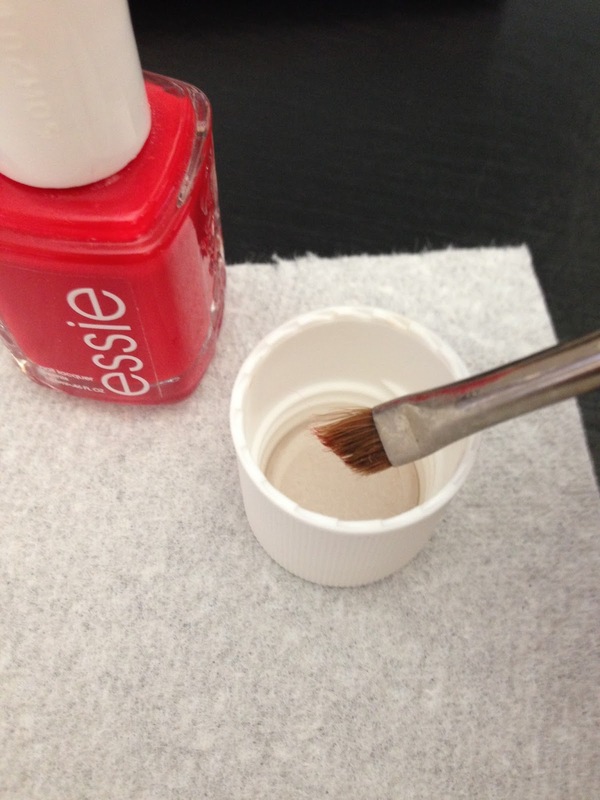 I use an old eye shadow brush to remove unwanted polish around my nail! Just dip it in a little nail polish remover and brush around your nail. It's super easy and much cheaper than buying the nail corrector pens!